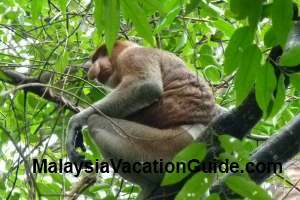 Danum Valley Conservation Area is located about 80 km by road from the town of Lahad Datu. This area is one of the least visited valley due to its limited accessibility from the town. Covering an area of over 400 square km and surrounded by logging activities, this lowland dipterocarp forest is the place to go if you are into eco-adventure. Rainforest reseach activities are being carried out here to ensure the continuous survival of this tropical rainforest. 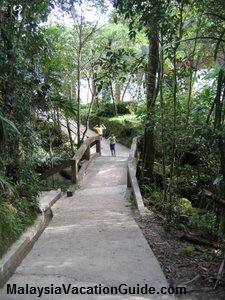 Do canopy Walk and enjoy the breath-taking view of the tropical rainforest from a height of over 25m from ground. Bring along your camera as you walk as you may be able to take the pictures of the birds that perch at the trees nearby. 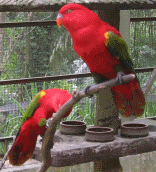 The common birds that you can find are the Argus Pheasants and Hornbills. Get a guide and do a jungle walks using the trails that have been cleared by the rangers within the vicinity of Borneo Rainforest Lodge. Night walks will give you the opportunity to encounter creatures such as flying squirrels, bearded pigs, snakes and frogs to name a few. 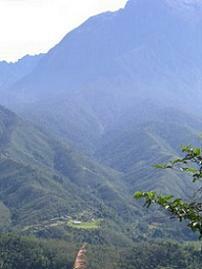 If you are fit, get a guide and try climbing up Mount Danum which is 1,093m in height. You will pass by Segama River as you ascent the mountain. You can also find waterfalls and pools here as you trek along the trails. Arrange with the centre and go for a night drive to experience and get close to the nocturnal animals here. Look out for giant flying squirrels, civets, deer, clouded leapards and maybe the Asian elephants if you are fortunate. It usually starts at 8:30 pm and return by 2:00 am. There is only a resort here known as Borneo Rain forest Lodge. Call the tour operator for more information. 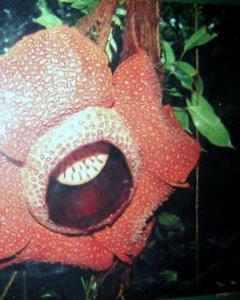 Borneo Nature Tours Sdn. Bhd. As there isn't any public transportation coming to this centre, contact the resort operator and get the pricing to come here. 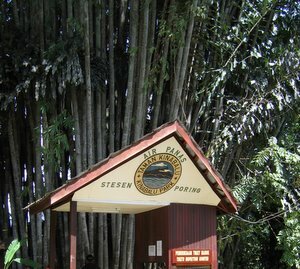 Coming here is an adventure as you will go through private logging road for most of the 2 hours journey.